Because you deserve to enjoy a strong, healthy and beautiful lawn for seasons to come. Helps your lawn breathe easier for new life and growth. These tiny pests can bring painful problems. Rid your lawn of certain unsightly grassy weeds. 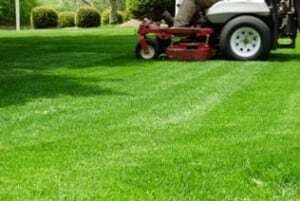 Proper fertilization of any lawn grass is an important component of the best management practices for your lawn. Fertilization and proper maintenance practices influence the overall health of your lawn, and can reduce its vulnerability to numerous stresses, including weeds, insects, and disease. Fertilizer promotes root development and increased turf density. Throughout the year applications of fertilizer perform assorted duties for your lawn. The three major nutrients your plants need are nitrogen, phosphorus, and potassium. Nitrogen is important for leaf and stem growth, phosphorus plays a key role in root development and seed formation and potassium enhances grass vigor and resistance to disease. Preemergent weed killers are applied prior to the germination of weed seeds, and their most effective on annual grassy weed seeds. It will help prevent warm-season annual grassy weeds such as crabgrass and grass burs. The very early fall treatment will usually prevent cool-season grassy weeds such as annual bluegrass, fescue grass, and annual rye. It should not be applied, however to new lawns until after their first winter, nor should they be used where you will be planting seeds within the following months. Aeration is the process of putting air back into the soil by removing plugs of compacted soil. Compacted soil and thatch impede your turfs growth. Core aeration can reduce soil compaction and improve natural thatch reduction for more vigorous grass growth. 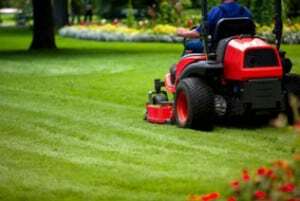 It also improves the flow of essential moisture, nutrients, and oxygen to your lawn’s root system, nourishing the grass plants that build thick healthy lawns. Many factors are combined to compacting the soil under your lawn, removing air that grass roots must have to survive and thrive. Children and pets stomping across the turf, and natural hardening of the soil itself limit the air available to roots. Most lawns with little to average surface activity should be aerated twice each year? in early spring and early fall. Japanese Beetles (grub) flying over your lawn lay thousands of eggs which hatch into hungry grubs that feed on the roots or your grass plants. There’s no surface evidence of feeding grubs, so by the time they’re detected, large portions of your lawn may already be damaged. But with thoroughly tested grub-control materials from ECL, the development of damaging grub populations can be reduced. Fire Ants are found throughout the South and Southwest. Fire Ants deliver a very painful bite to anyone or anything that gets in their way. Young children and pets are especially vulnerable. Fortunately, ECL offers Fire Ant control procedures that can help you reduce the number of infestations on your property. Grassy weeds can ruin the appearance of the lawn you’ve worked so hard to achieve. These weeds compete with your desirable grass plants for moisture, nutrients, light and space. Combat grassy weeds with our weed control and get rid of unsightly grassy weeds. 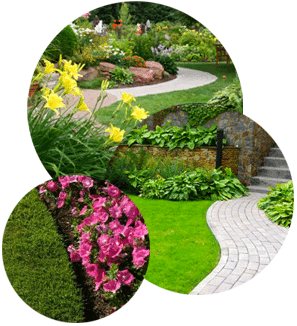 Call us to learn about a 10% discount we offer to our Fertilization Program members!